She was the most ferocious and the most venerable of all. Machli, the 20-year-old tigress, who passed away today, was an iconic figure of Ranthambore National Park in India. Her majestic look and muscular strength is legendary, and so is her fight with a 14-ft-long mugger crocodile that created history. Here is bunch of interesting facts you might not know about the most photographed tigress in the world. The tigress was named Machli since she has fish-shaped marks on the left part of her face. The Royal Bengal Tiger had a royal taste when it comes to choosing her habitat. 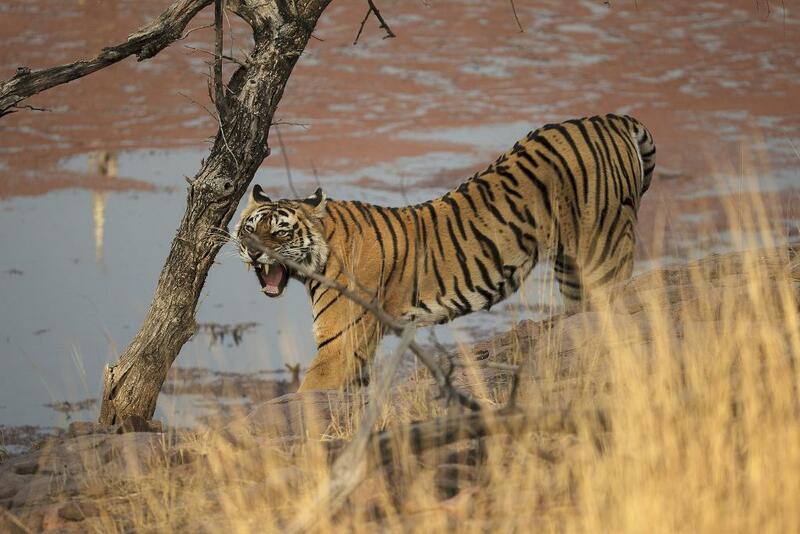 Her common territory was the lakes around the Ranthambore Fort where she had several encounters with crocodiles. She received several titles during her life: ‘Tigress Queen of Ranthambore’, ‘Lady of the Lakes’ and ‘Crocodile Killer’. She even has a Facebook page that has been “liked” by 4239 people. Machli had 11 cubs over the years whose offspring make up almost half the park's tiger population. Two of her daughters are now being shifted to Sariska Tiger Reserve after the reserve lost all its count. In 2013, the Indian government issued a commemorative postal cover and stamp to honour Machli for her ecological and economical contributions. The tigress, who gave wildlife lovers a great number of stories to remember, inspired a flurry of documentaries, with Tiger Queen being the most prominent one. She was the world’s oldest-surviving tigress in the wild. She died at the age of 20, which is higher than the average lifespan (10 to 15 years) of tigers in the wild.